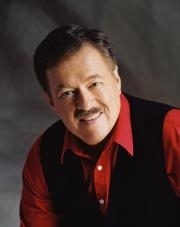 Grammy award winning tenor, Larry Ford who is also one of the Gaither singers will be in concert December 3, 2011. Larry will be performing at the Piedmont Seventh-day Adventist Church in Piedmont, AL. Many of you know that during the April 27, 2011 a tornado devastated our state, Alabama. The church was destroyed. It has now been rebuilt. The location of the Piedmont Seventh-day Adventist Church is 3140 Highway 9 South, Piedmont, AL. The location is approximately 5 miles north of McDonalds. The date is December 3, 2011 from 6:30 pm until 9:30 pm. This is a Saturday night. Rick Blythe is the pastor of the church and his wife Ginger is my cousin. Rick said there would NOT be an admission charge to see Larry Ford in concert. They will however accept any donations that anyone is able to give. You do not have to donate but that would be nice if you could. They have been through a lot getting the church built back and I am sure they would be very greatful. If you are in this area I do hope you will be able to go to the concert. I went to Larry’s site and listened to some of his music. He has an awesome voice and I do believe this will be a great concert. This entry was posted in Advertisement, Family Info, Family Stories. Bookmark the permalink.